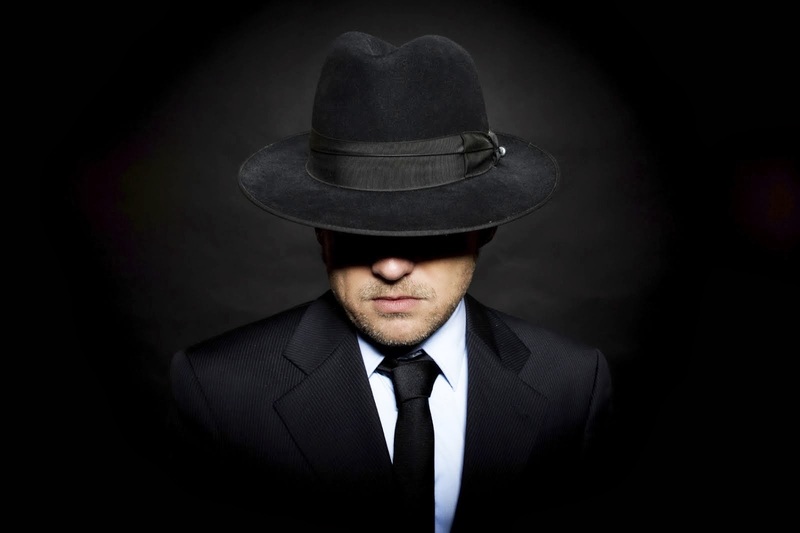 IdM allows organizations to create, maintain, terminate digital identities in timely and automated fashion. How is access controlled and monitored centrally. 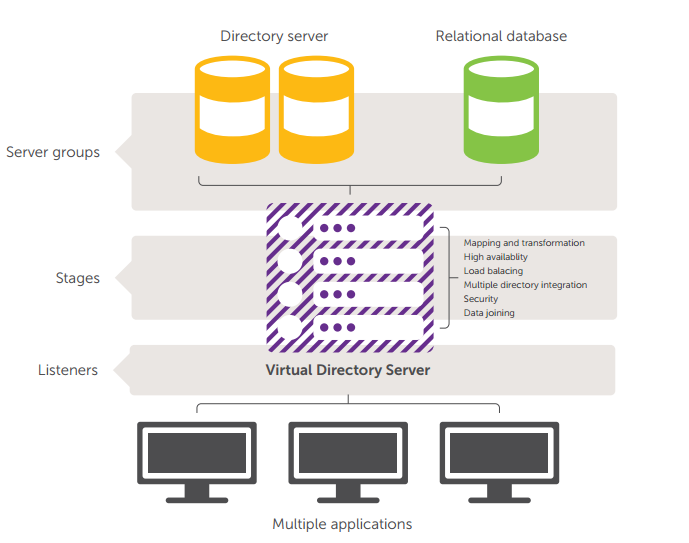 Meta Directory is directory containing information fetched from various sources and stored in central directory, which provides a unified view. 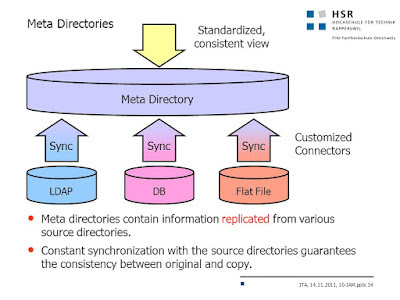 Meta Directory synchronizes itself with all identity sources periodically to ensure most up to date information is being used by applications and IdM components within enterprise. 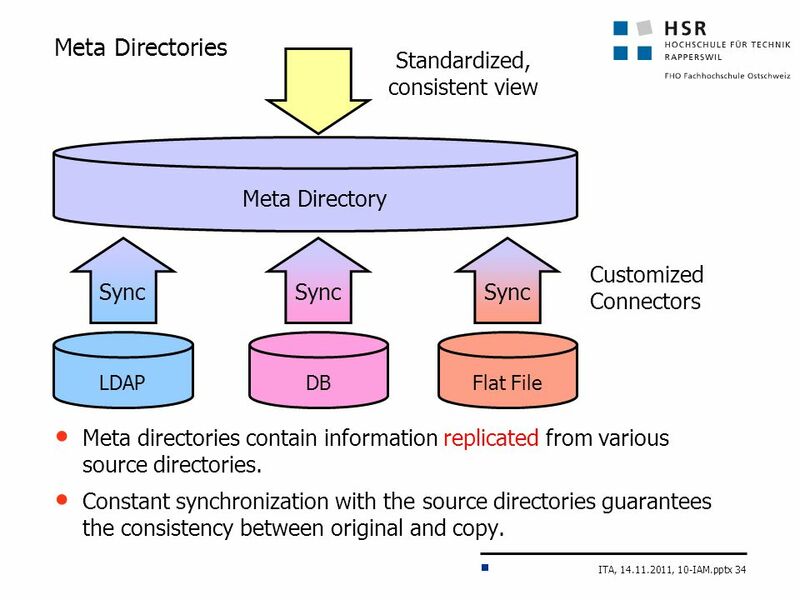 An example of Meta Directory product MetaDirectory product from "etos"
The MetaDirectory product has capabilities to merges various databases into a single, consistent LDAP directory that can be used throughout the company. 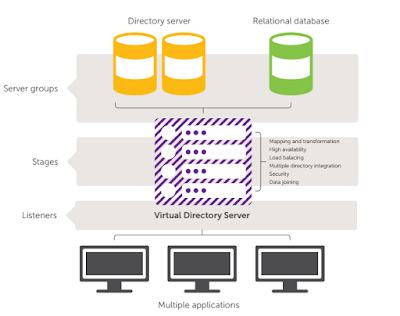 Virtual Directory - Virtual Directory does not store data in Physical Directory however, it just points to location where actual data is stored. 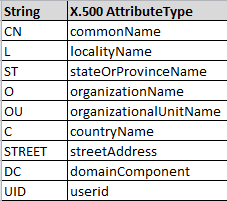 Good example can be a Dell product named "Dell One Identity Virtual"
Web access management software controls what user can access when using web browser to interact with we-based enterprise assets. WAM software is a gateway between User and Corporate web based resources. When user request for access web server software will query in a directory. Another important thing is to "Keep track of user activity"